Kabul, 28. 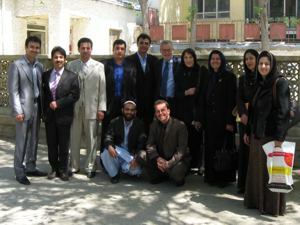 April 2008 (left to right:) Dr. Noori, Mazar-i-Sharif; Dr. Sediqi, Kabul; Dr. Osmani, Kunduz; Dr. Saheb, Mazar-i-Sharif; Dr. Hanif, Kunduz; Prof.Gugler; Frau Wienbeck; Dr. Hasham, Kabul: Dr. Hail, Kabul; Dr. Nasir, Kabul; (front:) Dr. Munib, Kandahar; Dr. Oqabi, Herat. Prof. Gugler and Mrs Wienbeck visited Kabul from 24th April to 4th May, 2008. 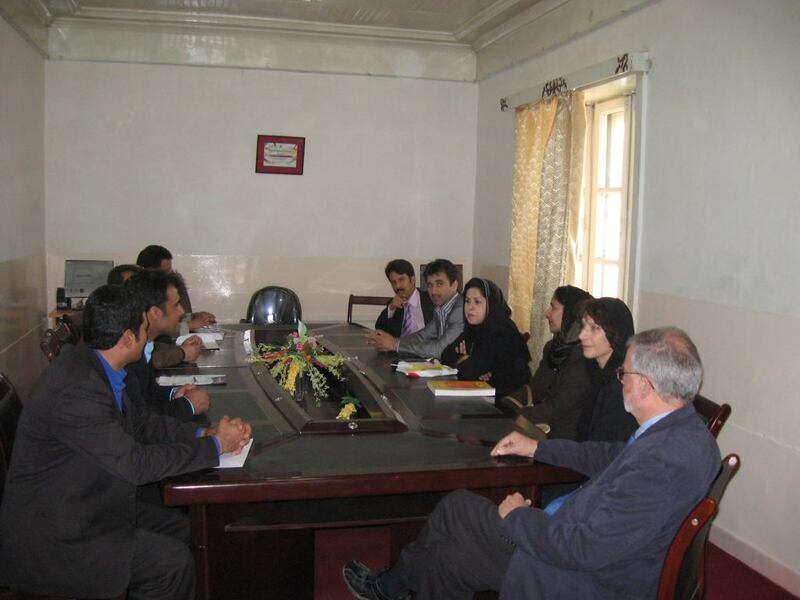 The main object of their visit was to review the current situation and to plan future projects in Afghanistan. 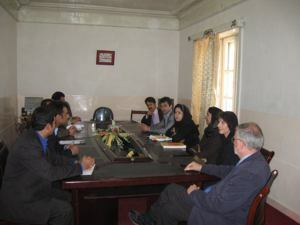 For this purpose, several meetings took place with male and female doctors who have already been trained from Kabul and various provincial cities. In all our meetings we encountered a high degree of motivation on the part of the male and female doctors who have already been trained by the Foundation. They are increasingly working on their own initiative and expressed great interest in further training projects and keeping in personal contact. The more advanced men and women are very keen to work as instructors. We drew up a list of supplies and equipment which are still required in the endoscopy centers, as these are not provided by their local clinics. Bureaucratic and other obstacles which are hampering the training and the effective use of both male and female doctors were a constant topic of conversation. We attach particular importance to training more female doctors in the fields of gastroenterology and endoscopy as, at the present moment, there are only three female doctors in the whole of Afghanistan who are qualified to conduct endoscopy. It is planned that two of them should work as instructors to qualify additional female doctors in this field. During our discussion in Kabul it became clear that there are still some barriers to overcome before a course of this nature can be organized.